Hamilton Precision Metals and SMP Wallingford, two of the six businesses that comprise AMETEK Specialty Metal Products (SMP), are delighted to announce that they have added two new Titanium strip grades – grade 9 and 23 – to their product portfolio for medical applications. 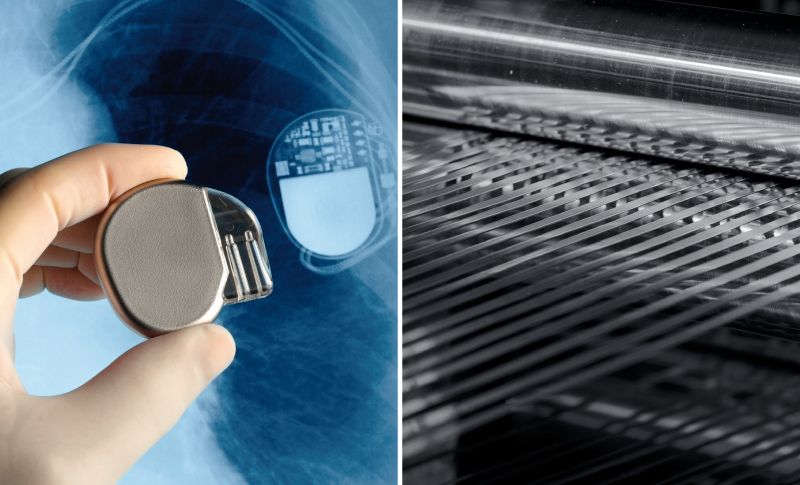 Having developed a proprietary production process for both Ti grades, the two AMETEK facilities are now able to produce a thin strip that ultimately offers external charging capabilities for implanted medical devices when incorporated to the external shell. This new production technology involves a cold rolling and annealing process that yields titanium strip with outstanding microstructure characteristics and formability properties. Historically, Ti grades 1 and 2 are used for implantable medical devices such as CRM cardiac rhythm management and drug delivery systems. However, these grades don’t offer non-contact charging capabilities for batteries. Using grades 9 and 23 allows for the manufacturing of smaller devices that enable safe, external re-charging for a range of transformative neuromodulation and neurostimulation therapy applications. Hamilton Precision Metals and SMP Wallingford will be exhibiting at the MD&M West on Feb. 5 at the Anaheim Convention Center in Anaheim, California. This is North America's biggest medical device technology trade show and will offer an excellent opportunity to demonstrate how SMP’s advanced metallurgical products are supporting the medical industry. AMETEK, Inc. is a leading global manufacturer of electronic instruments and electromechanical devices with annual sales of $4.5 billion. AMETEK has more than 17,000 employees at more than 150 operating locations worldwide. Supporting those operations are more than 100 sales and service facilities across the United States and in 30 other countries around the world. AMETEK Specialty Metal Products (SMP) is a division of AMETEK, Inc. and comprises of six manufacturing facilities in the UK and USA: Reading Alloys, AMETEK SMP Eighty Four, Fine Tubes, Superior Tube, Hamilton Precision Metals and AMETEK SMP Wallingford. Collectively, the businesses represent a world-leading force in the manufacture of advanced metallurgical products for critical applications across a range of industries.